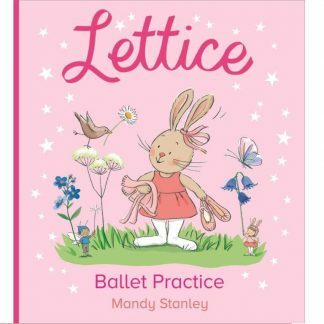 This pretty Ballerina gymsuit is designed to fit all your mini rabbits and bunnies. 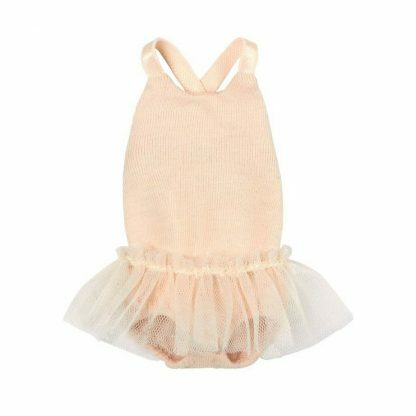 It is pink in colour with a pink tulle skirt attached and sweet criss cross straps at the back. 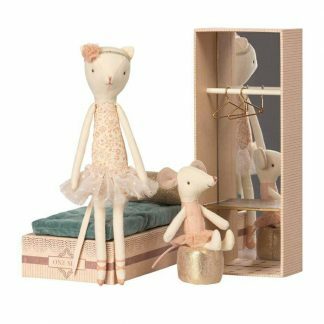 It comes complete with a gift box making it a lovely present, as your little ones enjoy playing with their Maileg friends.